You’re invited to a holiday party to die for! 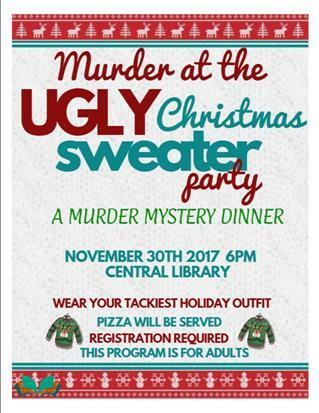 Wear your tackiest Christmas attire and join us for this fun interactive murder mystery dinner. Pizza will be served. Registration is required and space is limited. This free program is for adults only.